This release comes in the standard Fabric packaging of a metal case with a outer card sleeve. 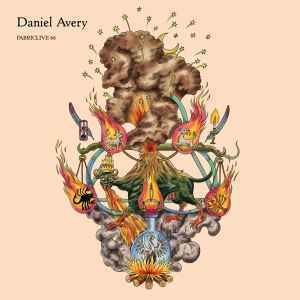 Superb mix from Daniel Avery. Seamless mixing, quality techno, and inventive throughout. If you have his album you'll recognise some of it, but to be honest a lot of his tunes make more sense in this environment. Cowboy Rhythmbox -Shake and of course Water Jump (What a jump!) stand out. Makes perfect sense this guy is on Erol Alkan's label, because he sounds almost exactly like him.